The calendar’s not the only thing announcing the advent of spring this year. All around Georgia birds are chirping, landscapes are blooming, and folks are migrating outdoors to patch roofs, prune shrubs, and start spring renovations. Breathe new life into your home and yard with these spring landscaping projects. Clean up. Before digging into the fun part of landscaping, take a weekend to finish up any landscape maintenance tasks you’ve been putting off. Most pruning happens in January and February, but early spring is the ideal time for trimming branches on stoloniferous (sucker-producing) shrubs like dogwoods. It’s also an excellent time to weed, fertilize, and give the grass its first trim of the season. Clean out. Finished pruning, trimming, and weeding? Don’t let organic debris mar your picture-perfect yard. 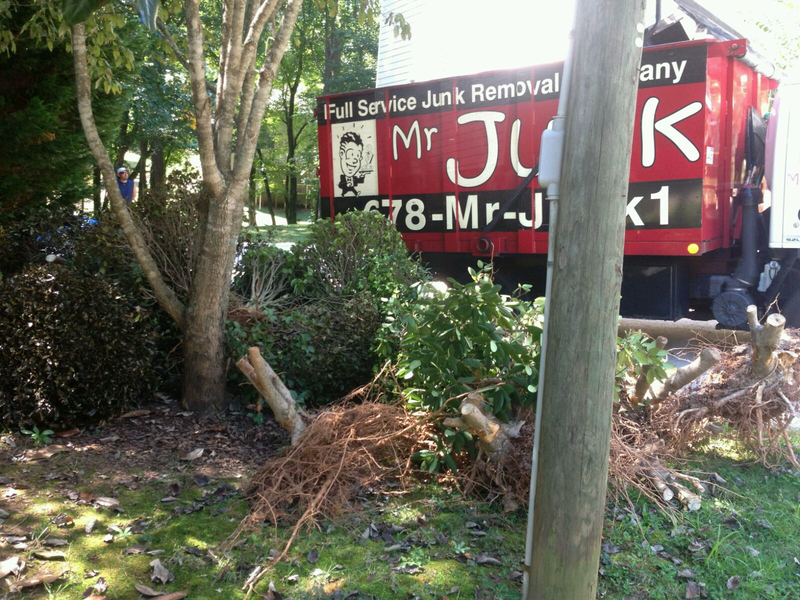 Mr Junk has years of experience in yard debris removal and disaster restoration cleanup. We’ll haul downed tree branches, bags of grass clippings, and pruning waste off your property, leaving your yard looking fresh and clean. Plan it. After your yard clean out, take a step back. Look for holes in the vegetation, clashing colors, and areas that don’t get much use. Then sketch out a new landscape design, complete with colorful flowers and transformative hardscape elements like bird baths and garden benches. Plant it. Ready to roll? Get to work! Give your garden a fresh look this spring by planting new flowers, hanging new garden ornaments, and planning your upkeep calendar to keep the garden looking lush all season. 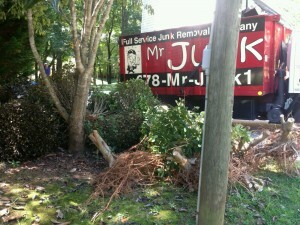 Mr Junk provides professional yard clean out services in metro Atlanta. Call our owner, Alex, to schedule a yard debris pickup.